There are numerous LGBTQ academics around the world whose research specializes in the history of the LGBTQ community itself. The subject of their specific research includes the history of LGBTQ activism, art and culture, HIV/AIDS, the origins of the lesbian or gay community, politics, anthropology, race and identity in the LGBTQ community, film, and more. Many of these academics have received significant honours and recognitions for their work. Some lead specialized academic research groups within their Universities, such as gender studies, women studies, or queer studies. Several are Distinguished University Professors at their educational institutions - the highest academic honour bestowed on faculty members. The study of the history of the LGBTQ community first started in the 1970s. It began principally with political and literature theory. At that time, the studies emanated from broader studies of gender. They have evolved into studies with a very specific focus directly on issues around the wide spectrum of LGBTQ issues. LGBTQ history studies are multi-disciplinary. They encompass the fields of law, biology, sociology, medicine, the arts, literature, psychology, philosophy, the sciences, politics, and many more. 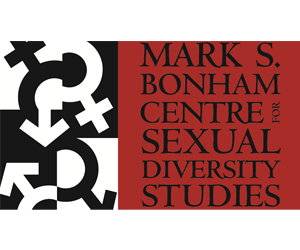 The Mark S. Bonham Centre for Sexual Diversity Studies at the University of Toronto in Canada is the largest degree-granting educational centre offering LGBTQ studies in the world. It offers undergraduate and graduate (Masters and Ph.D) programs in 42 different multi-disciplinary areas. The Williams Institute at the University of California is one of the top research institutions in the world focussed on LGBTQ issues, with a particular focus on legal issues. Other notable research centres include the Center for the Study of Gender and Sexuality at New York University, and The Centre for Research in Race and Rights at the University of Nottingham. Similarly, there are a number of peer-reviewed journals devoted to academic LGBTQ research studies. These include Gay & Lesbian Review Worldwide, Columbia Journal of Gender & Law, Journal of GLBT Family Studies, and Transgender Studies Quarterly. We have identified LGBTQ academics in this field of study from France, Spain, Canada, Finland, the United States, Australia, Great Britain, Portugal, and South Africa. Read their biographies to find out more about these fascinating and accomplished individuals, their research, and published books and academic articles on the topic. (Note: this list does not include LGBTQ academics who specialize in fields of LGBTQ study other than history). This page was last modified on 9 March 2019, at 16:31.